ACT or Advanced Clutch Technology was established in 1994 and specializes in lightweight flywheels and performance clutches for domestic and import cars and trucks. ACT utilizes strict dedication to engineering and design to produce clutch kits with outstanding durability and consistent pedal feel. ACT is the brand of choice for professional racing drivers like Matt Powers, John Leslie, Chris Forsberg, and Jeremy Lookofsky. The brand is also renowned for their excellent customer care. The best thing about ACT performance clutches and flywheels is the affordable price. You get extreme and uncompromising performance without burning a hole in your pocket. When it comes to quality, ACT clutches and flywheels are one of the best in the aftermarket industry. All ACT products undergo various stages of development from simulation, prototyping, 3D modeling, dynamometer, and actual vehicle testing to deliver a product that ensures long-term customer satisfaction. ACT products are covered by a 1-year warranty for utmost peace of mind. 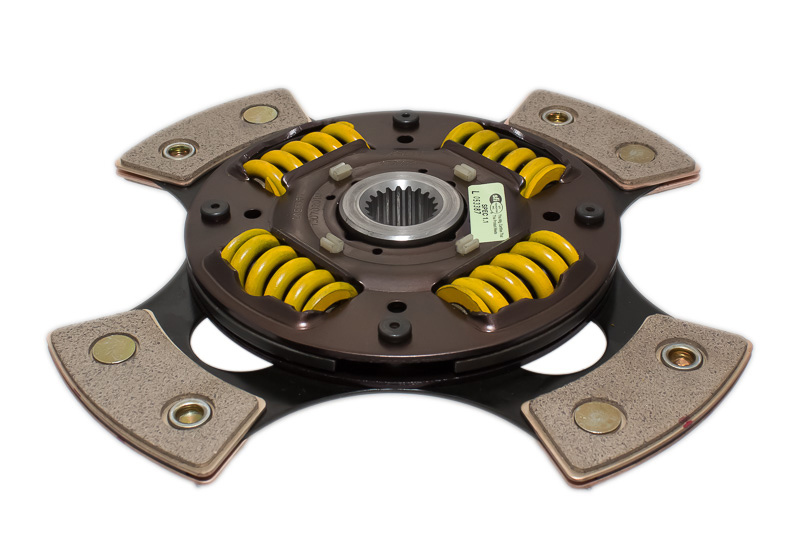 The clutch performance and clamping load are an integral part of high-performance vehicles. Contrary to popular belief, the clutch transmits the torque of the engine at the flywheel and NOT the horsepower of the motor. Adding bolt-on mods like a cold air intake, aftermarket camshafts, exhaust kits, and ignition kits will generally add more horsepower with slight increments in torque output. But forced-induction or nitro kits will increase both horsepower and torque, so this is important to consider before choosing the type of clutch for your ride. ACT offers Sport, Heavy Duty, Extreme, Maxx Xtreme, or Twin-Disc clutch kits for street, sport, off-road, and racing applications. You can also look into ACT XACT Flywheels and pressure plates to further improve the performance of your ride. Choose a from wide array of ACT clutch release bearings, street clutch discs, flywheel counterweights, race clutch discs, pressure plates, and twin disc clutch kits only here at Sam’s Motorsports. 1991-1996 Dodge Stealth ACT Race Clutch Discs, The ACT Race Clutch Discs is designed specifically to fit your 1991-1996 Dodge Stealth without any modification to your beloved Dodge Stealth. 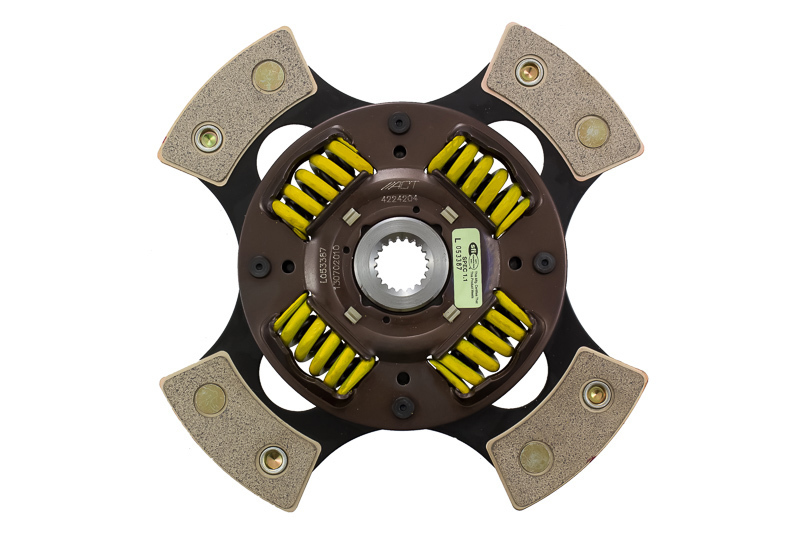 ACT Race Clutch Discs will also fit 2006-2009 Mitsubishi Eclipse, 2004-2004 Mitsubishi Lancer. If this ACT Race Clutch Discs is not exactly what you are looking for to accessories your , please don't give up just yet. Our catalog has huge variety of parts and accessories for your .